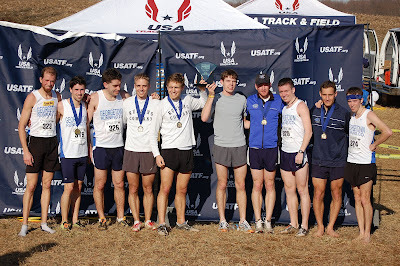 GEORGETOWN RUNNING CLUB: Team Champions! Great work guys. The hard work is paying off! Thanks to EVERYONE for cheering. It made a huge difference. That was fantastic. Sorry I skipped out on the parties, I got seriously ill while at Uncle Julio's, probably reacting to either the beer or something I ate after that race. The cheering around the course was crucial, would have been a LOT harder without it. Thanks all! Great team effort guys; this is special and well deserved. Incredible to have watched it play out. Indescribable, really. Congrats to the team! Good job! Jake-I see you beat Bert pretty handily. Way to go.